Both Amazon and Google are working on turning their popular AI-based speaker products into replacements for a home telephone, reports The Wall Street Journal. 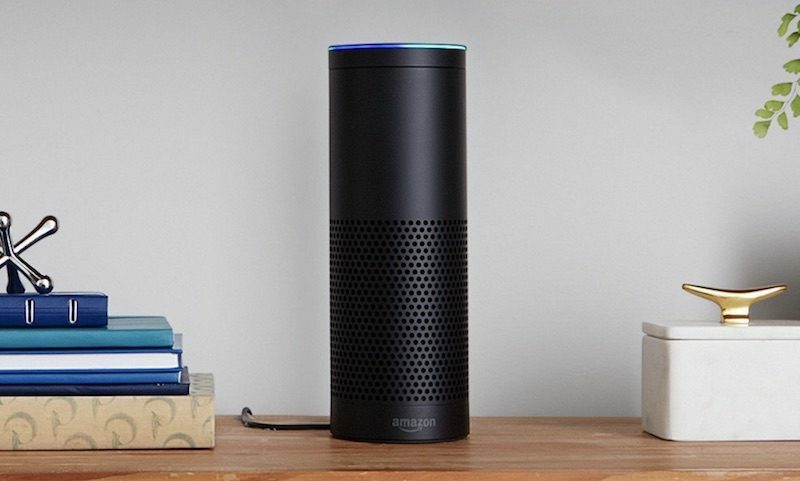 The Amazon Echo and/or the Google Home could be used to make and receive phone calls, with the two companies planning to add the updated functionality as soon as this year. Smart home products like the Amazon Echo have become a staple in the lives of many people and the ability to make phone calls directly from the device would be a valuable addition. Google and Amazon are said to be working to overcome concerns about privacy, telecom regulations, and emergency services, plus the "inherent awkwardness" of making phone conversations via a speaker. The two companies are worried consumers won't want to speak on a device that is able to record conversations. Both the Echo and the Home continuously record audio to enable AI responses. One source that spoke to The Wall Street Journal said that Amazon would only collect metadata from phone calls rather than conversations themselves, and while it's unclear what Google would retain, a Home-based call service would likely resemble Google Voice, which does not record phone calls. Amazon is considering multiple options for how the phone feature could work, the people said. The Echo could get its own phone number. Call forwarding could enable calls to that number to be answered remotely on a cellphone, and vice versa. Another option is to sync a user's existing phone number and contacts with the Echo. Incoming calls would ring on the user's cellphone. The news is of interest to Apple followers because Apple is also rumored to be working on a connected smart home device that would compete with Amazon's Echo and Google's Home. It's reasonable to assume that when and if Apple releases its rumored home hub, it would be on par with already existing products. If the Amazon Echo and Google Home are set to gain calling capabilities, we can perhaps expect the same thing from an Apple product. Rumors thus far suggest Apple's smart home device will be powered by Siri, Apple's voice-based personal assistant that's already built into iPhones and Macs. It would reportedly be used to control HomeKit-enabled accessories while also offering "advanced microphone and speaker technology." The device, in addition to serving as a hub for smart products, would also be able to respond to typical Siri questions and do things like play music, answer queries, and more. The device is said to be in the prototype testing phase of development, without an official finalized plan for release. Apple could still decide not to move forward with the project should the testing phase not pan out. Amazon and Google are so clueless. The future is in watch bands. Tried this with my Echo but it's too dang big... felt like I had a shoe up to my ear. And I pulled the cord out of the wall when I walked into the bathroom with it. without the need to press a button. I'm tired of "Smart" stuff. Not too crazy about this "anonymous" meta data collection of who I call. My cellular provider already knows this. Why does another company/service need this info? Just seems like another attempt to sell my consumer profile and gather more finger prints of my digital life for zero benefit to the consumer. Says you on a public forum, happily having your IP addresses captured each time you access the site as well as other device data. Facebook profile? Surf the internet? Sorry to say, you compromised your privacy a long time ago. I can see this making sense in some, admittedly niche, situations. Kind of crazy how we essentially moved away from home phones in favor of completely wireless phones and now are, to a degree, moving back to the dedicated line wth these products. Google and Amazon are said to be working to overcome concerns about privacy, telecom regulations, and emergency services, plus the "inherent awkwardness" of making phone conversations via a speaker. Many people at home also do the same. The two companies are worried consumers won't want to speak on a device that is able to record conversations. Both the Echo and the Home continuously record audio to enable AI responses. They only start after a keyword (e.g. "Alexa...") enables capturing the voice command that follows.